Following a three-day lesson on the Declaration of Independence, students created their own personal declarations of independence from things they would prefer “out of their lives.” From annoyances like mosquitoes to afflictions like homework, from the silly (like bad smells) to the serious (like cancer), students are drafting declarations through which they will demonstrate their understanding of the four parts of the real Declaration. 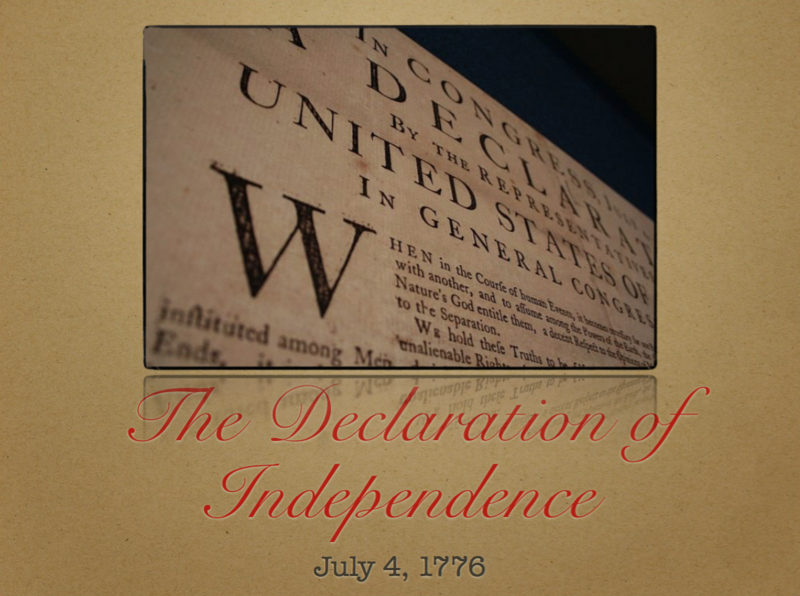 ​Our favorite signer of the Declaration: Bob Morris! Click below to read about the expectations for this project. Click below to see the rubric with which students will be graded. Click below to access the form students should use to draft their declarations.